I'm a sucker for posts about assessment. So when @MrOrr_Geek posted this story about assessment, I was in. I love the premiss because it's about changing the paradigm about assessment in his classes. And not to give it all away but I loved the tag line at the end "Assessment is power not punishment". That is, most kids fear assessment but he is trying to build a culture in his classes where assessment empowers students. Even if you don't use @Freshgrade, the underlying principles are pretty intriguing. Watch below to find out how. I have been sitting on this activity for a while. I actually made it last December but just got around to posting it now. We have started to develop a number of activities using a continuum model for student practice where the practice problems become incrementally more difficult as students progress (at their own pace). In this case we've tackled trig identities. Take a look. I like card matching activities because they get students to do the math but in a way that is much more palatable for students. 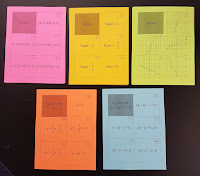 In this case @marybourassa (adapted from @pamjwilson) has students match up different representations of linear functions (points, slope, equations, graphs) and students have to match them. 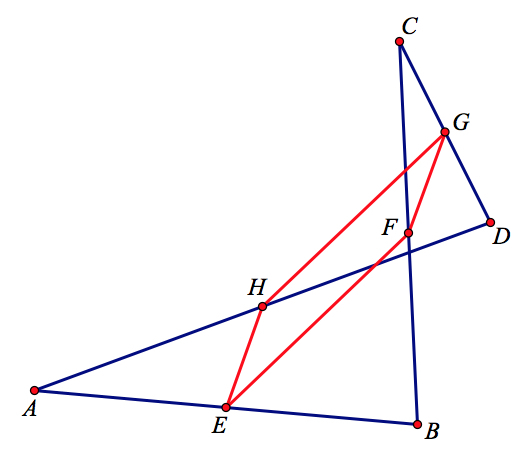 We did a similar activity with functions in context here but this one is good for analytic linear functions. There is no shortage of questions you can ask about the Tim Horton's Roll Up the Rim contest. This time @mathletepearce has turned it into a 3Act Task on Probability. Some evidence as to why you can't just look at the summary statistics for data sets without looking at the visual representations. In the spirit of the Anscomb's Quartet (my post here), here is a number of data sets that have the same summary but different graphs. Don't miss the Datasaurus too. With all of the accusations of "Fake News" I thought this article on how to spot fake statistics was quite topical. It's from last year but still quite relevant. This is a fight we have all the time. That is, the notion that students come into your class thinking that they are not a "math person" or the societal idea that it's even OK to claim you are not a math person (yet they would never say "I don't read"). Thanks to @michelecooper for this one. And along the same lines is this TED talk from @MonaChalabi on Three ways to spot a bad statistic. 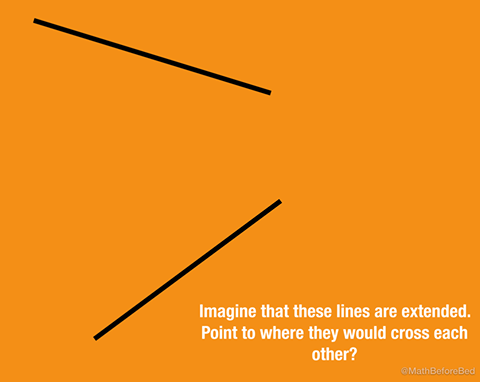 Sometimes examples of math are right under our noses. In this case, it's an example of a dilatation that is seen every time the Twitter app opens. Get the video or animated gif at the folder below. And we might as well start the summer with a math joke about math jokes. Very Meta. 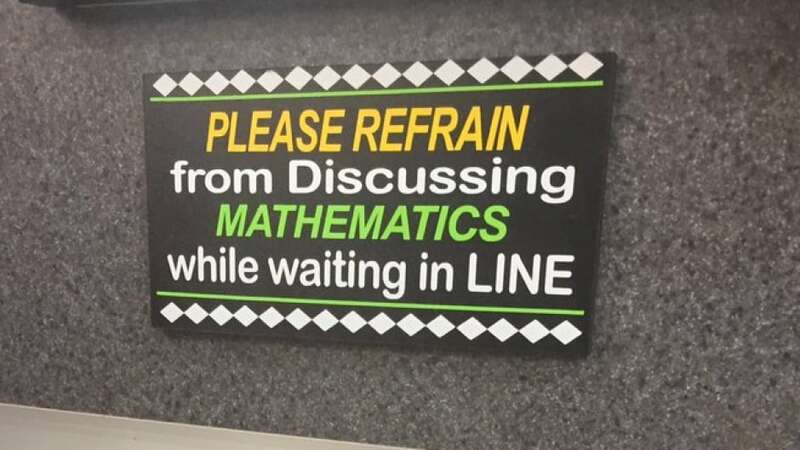 So last week there was a viral tweet that went out with a sign at a deli that forbade talking about mathematics. Here's the story behind that sign. 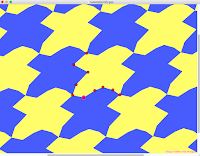 Apparently last week it was World Tessellation Day. So I reposted a dynamic sketch that I've had for a while. Go ahead try it out to make your own Escher sketch. Combine this Which One Doesn't Belong with @MrVaudrey's Mullet Ratio Activity and you have a winner. I love showing this video to students to remind them that we are all doing complex math all the time. That is, every time we catch a ball, our brain is doing complex mathematics to figure out where to put our hands to catch it. In this clip, Willy Mays see's the ball hit and immediately turns around and sprints to where he thinks the ball will land. 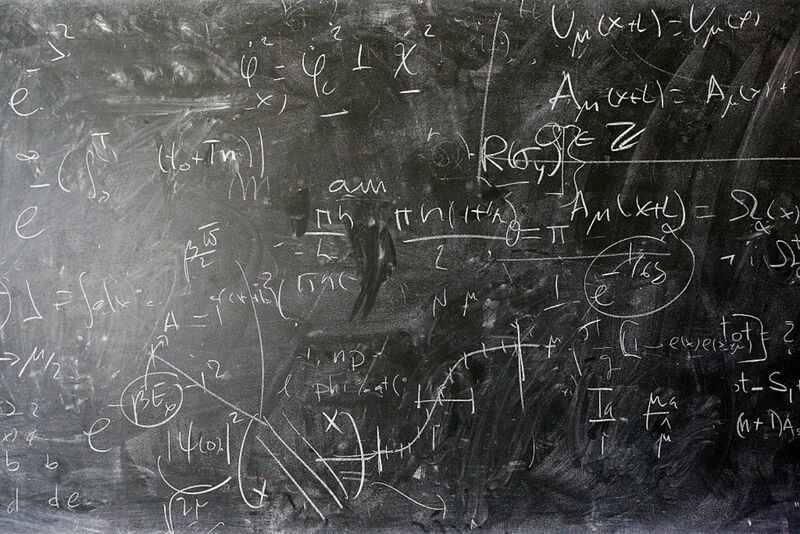 The problem that most students have is putting those calculations on paper. Last week we were at the last RMS session of the year and there were a lot of math related pics going around. As @ddmeyer points out, this XKCD image has been out for a while and he has suggested it be used for introducing the topic of the coordinate plane before but now he and his crew have Desmosified it into a really fun and dynamic way to introduce the concepts of the coordinate plane (or even help fill the gaps in for those who still struggle with graphing points). 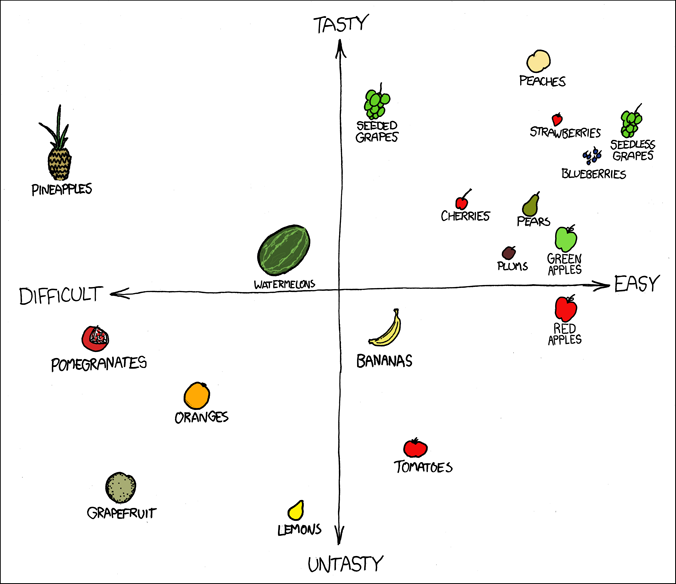 The premiss is pretty simple: given various fruits, decide where it fits on a linear tasty/untasty scale and a perpendicular linear Easy/Difficult (to eat) scale. Here's a nice twist on a standard concept from @dpscher. 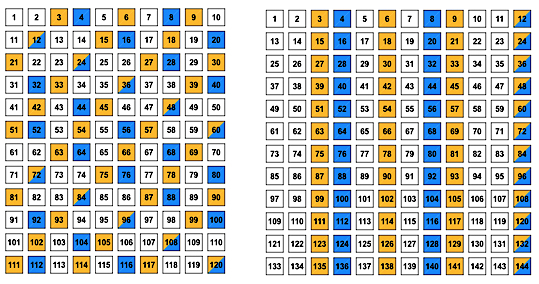 We've all seen 10x10 multiplication grids before (both static and dynamic) where students have to look for multiples of what ever number. But now that 10x10 grid itself is dynamic. That is, it's dimensions. So you can have your kids explore how the patterns change as the grid changes. This may seem really elementary but students who have good number sense will have an easier time when performing other math tasks. So students at any grade can practice with this to hone their skills. 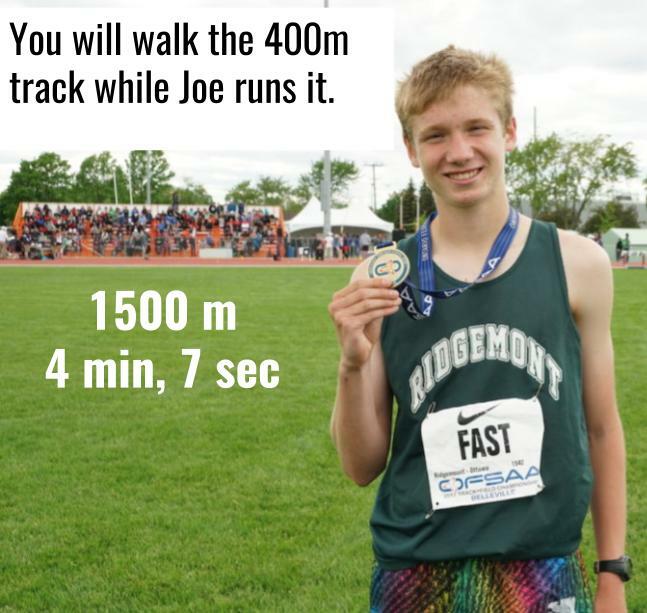 I love this lesson from @Wheeler_Laura where she takes advantage of her student winning Gold at OFSAA in the 1500m championship (pretty fast - almost cracked 4min in grade 9). She turns that into a 3Act task where she has her students wonder how much of a head start they would need so if they were walking and he was running, they would end up at the finish line at the same time. And like any good 3Act task there is a great reveal. In this case, she has her students actually do the experiment. Check out the link for the entire lesson. I remember a time (more than 15 years ago) when I was just getting into the groove of having students investigate mathematics as a matter of habit when one student asked "sir, when are you going to teach us". Heavy sigh. None the less, I am always happy when others share thoughts on this same mater. In this case from @K8Nowak with the title "So When do I teach?" where that is being asked by a teacher. "Math requires altruism, hard work and fact-checking. " - That's what @mathbabedotorg says in her article sighting that not all mathematicians are geniuses. And for every "genius" there's a hundred people that helped create them along the way. I totally love this new video and activity from @MrOrr_Geek. 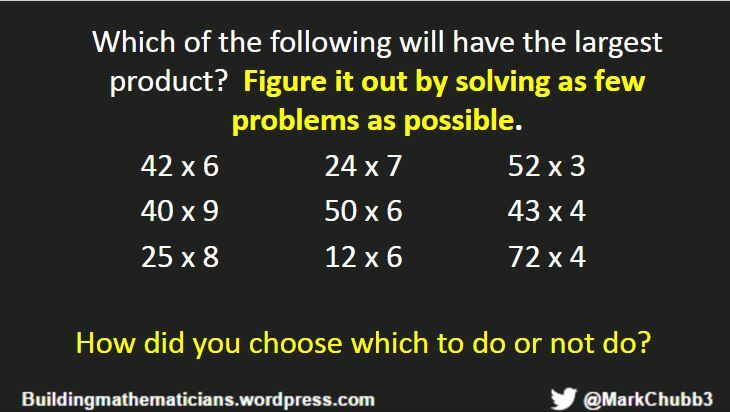 Just watch the video below and tell me you are not right in there ready to solve. Of course there is a whole lesson that goes along with this so make sure you go to the link below to get it all. This one showed up all over Twitter this week. There is a story here for sure. If you haven't seen @MrOrr_Geek's Math Before Bed then shame on you. The good news is that you're in luck. He just launched the companion site https://mathbeforebed.com/ . One of my favourite things about Math Before Bed is that you might get the impression that it's a book just for younger kids and that is probably who it's aimed for. But there are great questions that are framed in a way that a younger kid could do but touch on much bigger topics. And just about any of these could be used as a math starter or discussion piece in just about any class. And if you like this then you might want to get your own copy for your kids. I have been neglecting my Found Data site for months now. I have many unfinished posts so I thought I would start to clean that up. One of first ones I had to get out was this Github site from Five Thirty Eight. Of course Five Thirty Eight are all about data and, as it turns out, there are a bunch of their stories that they have made the data sets available. And some of these sets are huge. Like this one about Classic Rock that has over 37000 pieces of data. So if you are looking for some interesting sets of data (especially categorical data) then check this out. The other thing I did this week was start to generate some dynamic 3D sketches for the vector unit of MCV4U using Geogebra. These will probably only be useful to you if you are using the McGraw Hill Calculus and Vectors textbook as they are just dynamic versions of the chapter 7 examples (chapter 8 is to come). 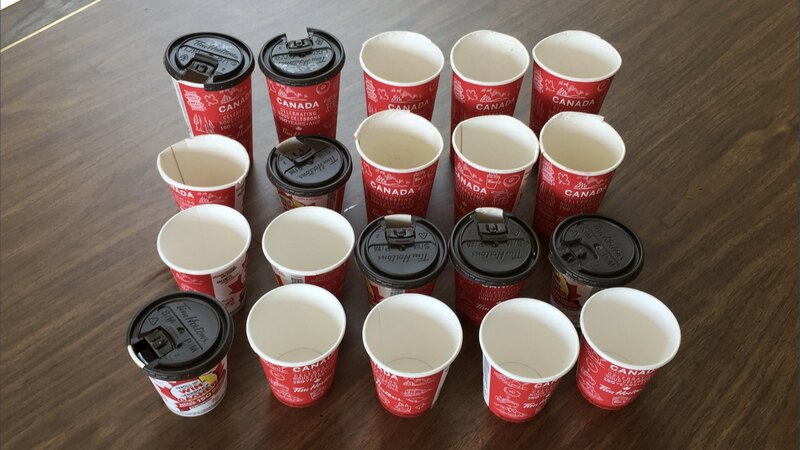 In May our school board celebrated Canada 150 by asking students to come up with math questions that were about Canada that had an answer of 150. You can see some of the results here on Twitter. @Mathletepearce is also getting into the Canada 150 spirit by having students at his board complete some Canada 150 challenges. 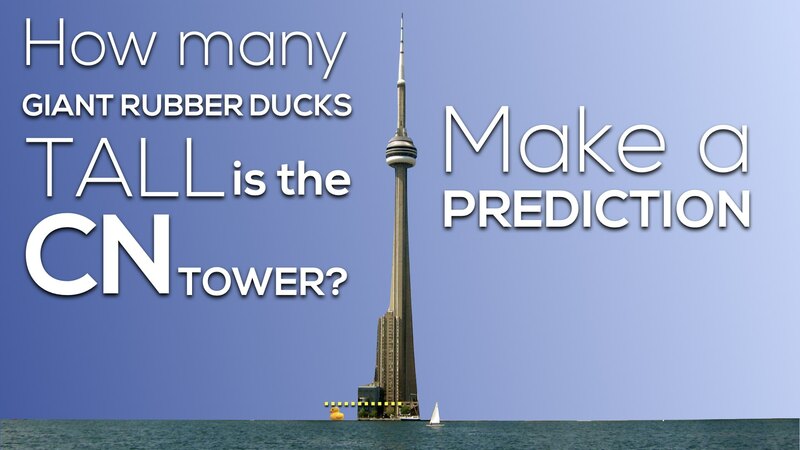 Here's a great proportional reasoning 3Act task dealing with a large rubber duck and the CN Tower. 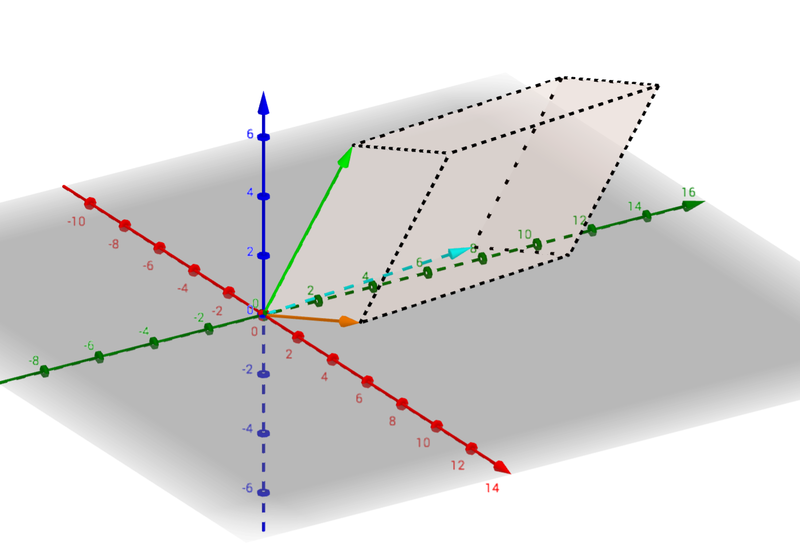 I have seen this dynamic sketch for Geometer's Sketchpad but someone has done the math and created it for Desmos. Approximating Pi by the Method of Exhaustion is super cool and interesting that it has been done for centuries with little technology. Thanks to @Esping_Math for pointing out this one. Tired of hearing about fidget spinners? Turn it into a math problem about how fast the spinner is going. This is a neat site that is set up for people when they are out of school to brush up on their math skills. But there is a lot of stuff you could use in classes too. 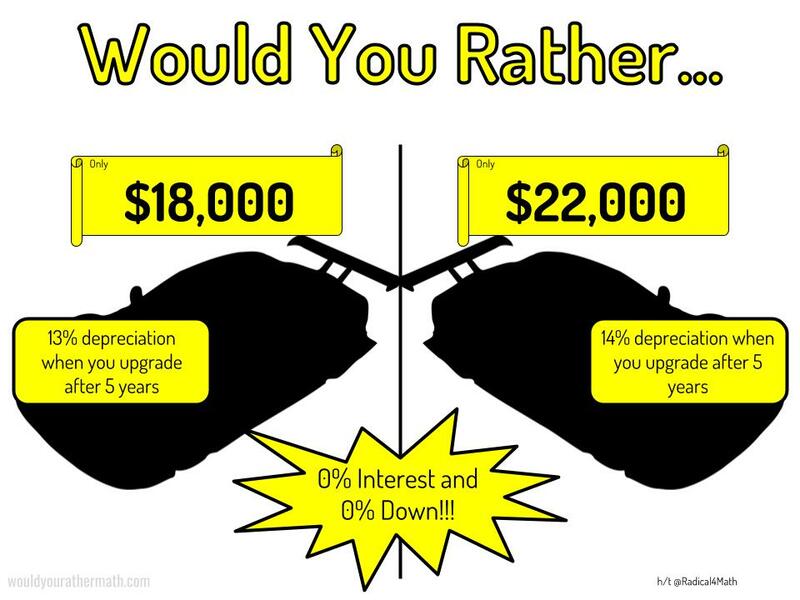 So simple but it could yield so much discussion. And check out @mathforlove's comment with a slight tweak. I like the idea of students working on intuitive thinking. And it seems so does @markchubb3. That is what his OAME 2017 talk was about. He breaks it down slide by slide in this post. I have not seen this type of activity before. It's called a spider puzzle. In this case they are for mean, median and mode. Here there is a set of numbers in the middle with a missing value and then various scenarios around that have to be solved by choosing the correct value. I also like the idea of using dry erase pockets to work on these sheets without actually using them.